Shapla or Water Lily (nymphaea pubescens, family: nymphaeceae) is a common water plant and national flower of Bangladesh. The plant grows from underwater soil. It is found in ponds, canals, beels and jheels everywhere of Bangladesh as well as Indian subcontinent. Flower is white, bluish white or bluish viiolet. Sepals 4, elliptical-ovate, persistent, 3-9 cm long, outer side green, vertically striped; inner side bluish white. Numerous stamens surrounded the pistil at the centre of flower. 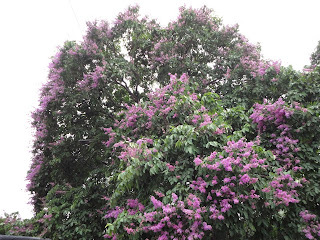 Flower usually blooms at night during rainy season. Fruit is globose, glabrous, with granular seeds inside.